4 Axis Milling & Machining Services -C&H Machine, Inc.
C&H Machine offers 4 axis milling services for the machining of even the most advanced projects in a quicker and more efficient manner. 4 axis milling equipment can handle an extensive range of capabilities when compared with standard 3 axis milling; making it possible to produce complex components at higher speeds with even more accurate results. 4 axis milling facilitates a streamlined process with its additional tools and attachments that provide greater maneuverability during the milling process. With just a single setup for a project, C&H Machine’s 4 axis milling machines can complete additional processes in less time, making it possible to finish customers’ projects with far shorter lead times. 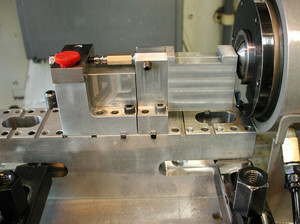 4 axis milling makes it possible for side holes and slots to be machined into parts without resetting the machine. Multiple surfaces can be machined in a single setup, and high-level surfacing is possible. C&H Machine has two machines with 4th axis rotary heads, and two horizontal CNC machines that can rotate work pallets on 4 axes. 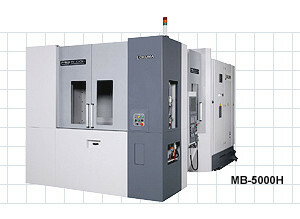 Our 4 axis milling machines provide outstanding versatility and fast, efficient fabrication. C&H Machine’s 4 axis milling services are ideal for machining parts and components that require close tolerances. A single setup can process dimensional information and designs from multiple datum sets. Fewer setups mean fewer opportunities for error and fewer movements of the products being machined, which lead to greater consistency and precision for repeated products. Contact C&H Machine for further details about our 4 axis milling services.